Between 1840 and 1900 over 1000 major medical articles recommending cannabis as a therapeutic agent were published. It is still puzzling that no serious modern survey of the therapeutic value in cannabis has been conducted. This is because it is illegal, and may well be due to pressures from the pharmaceutical and drug companies who fear loss of profits if cannabis is accepted medicinally. Just imagine all those people growing their own remedy! MUSCLE SPASM IN MULTIPLE SCLEROSIS. PAIN RELIEF in spinal injury, arthritis, rheumatics, sprains. PAIN RELIEF IN CHILDBIRTH AND IN MENSTRUATION AND IN SPINAL INJURY. At the 10th International Conference on Drug Policy, 1996, USA John P Morgan MD, Professor of Pharmacology, City University of New York Medical School, said of Marinol, the synthetic THC marketed in the States, "In a recent study, the scientists gave patients 20 mg of Marinol by mouth to see if it increased their appetite. Not only could they not detect much appetite-increasing effect, but also they learned the interesting fact that, in one-third of people who take Marinol by mouth, you have no blood levels at all. The drug is so poorly bio-available it's surprising that it got onto the market. There may well be some reason to believe that there are individuals in our government who are interested in getting Marinol on the market to diminish the pressure for marijuana smokers." Cannabis 'is stroke hope' : The Guardian, UK : Saturday July 4, 1998, and even ALZHEIMER'S diseases. Can Cannabis Help Your Migrain? Published by Elsevier Science B.V.
Cannabis, or marijuana, has been used for centuries for both symptomatic and prophylactic treatment of migraine. It was highly esteemed as a headache remedy by the most prominent physicians of the age between 1874 and 1942, remaining part of the Western pharmacopoeia for this indication even into the mid-twentieth century. 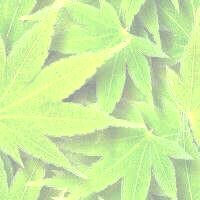 Current ethnobotanical and anecdotal references continue to refer to its efficacy for this malady, while biochemical studies of THC and anandamide have provided a scientific basis for such treatment. The author believes that controlled clinical trials of Cannabis in acute migraine treatment are warranted. � 1998 International Association for the Study of Pain.